HEPA air filters are used widely in the nuclear, electronic, aerospace and military industries. They are also critical in medical applications such as pharmaceutical manufacturing, hospital operating and isolation rooms as well as clean room environments. The highest standard of HEPA filter aids in the prevention of the spread of bacterial and viral infections in the air and can be further incorporated with ultra-violet light to ensure air purity. Other applications such as newer model vehicles and airplane circulation systems use HEPA filters due to the high level of cleanliness required in the air. For those people prone to asthma and allergy sufferers, HEPA filters and other types of air cleaner filters can provide a level of air quality that eases these health problems. Due to their high efficiency at trapping particles, HEPA filters are also widely used in industrial settings. 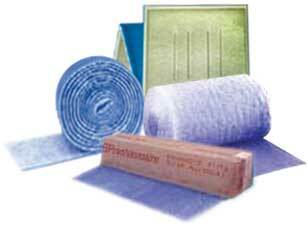 The filters themselves are typically made of fiberglass fibers which are arranged randomly in varying densities. The diameter and thickness of the fiber play a direct role in the efficient functioning of the filter and in the percentage of its filtration capacity. HEPA filters, like similarly effective ULPA filters, tend to be very dense and therefore may require a circulation system with a more powerful engine than a standard air cleaner filter due to the extra power required to move the air through the filter. Particles and trapped by the many interweaving fibers as the air is moved through the filter, preventing their recirculation back into the atmosphere. Due to the percentage of particulates removed, HEPA filters may require frequent replacement or washing. Another potential drawback to using HEPA grade filters is that they tend to be more expensive than other types of air filters such as foam filters or carbon air filters. For applications which require HEPA levels of air purification, it is worth the investment, but for other applications a HEPA type filter or a HEPA style filter may be adequate. These filters will still provide a high level of air filtration but are not required to meet the same purification standards as true HEPA filters. HEPA Air Filters HEPA air filters, or “high efficiency particulate air” filters are among the most effective type of air cleaner filter used, removing a minimum of 99.97 percent of unwanted particulates from an air stream, as defined by the Institute of Environmental Science. Small particles such as dust, pollen, animal dander, airborne bacterial organisms and contaminants can be removed by using HEPA filters to trap the particles. The size of 0.3 microns is the testing standards for filters in order for them to be classified as true HEPA filters. The filters which meet the required standards are assigned a serial number to prove their authenticity.